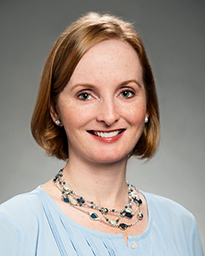 Dr. Botsford received her undergraduate degree from Rice University, her MBA from University of Houston’s Bauer College of Business and her medical degree from Baylor College of Medicine. She completed her family medicine residency at Baylor College of Medicine / Kelsey-Seybold Clinic, where she served as chief resident. Dr. Botsford is board-certified in family medicine. Dr. Botsford provides comprehensive care for patients of all ages. She enjoys seeing a wide variety of patients and conditions, including preventive care, women’s health and sports injuries. She is especially interested in promoting healthy lifestyle through weight management, nutrition and fitness. Staying current on the latest clinical research and guidelines is a top priority for Dr. Botsford. She empowers her patients to make decisions by providing them with as much information as possible, including the pros and cons of different studies, research and clinical trials. She then works with her patients to sort through all of this evidence and help them determine what treatment will ultimately work best. Dr. Botsford enjoys spending her free time with her husband, playing golf, running, soccer, and trying new restaurants. Dr. Botsford practices at Memorial Hermann Physicians at Sugar Creek.